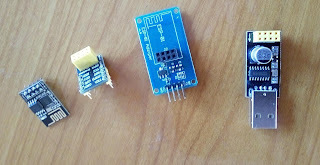 I created several projects with EPS8266 wifi modules. 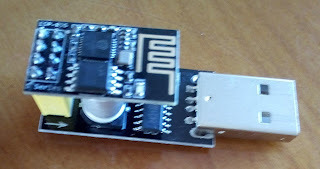 The small cheap ESP01 module has only a few IO pins so i did not used it until now. 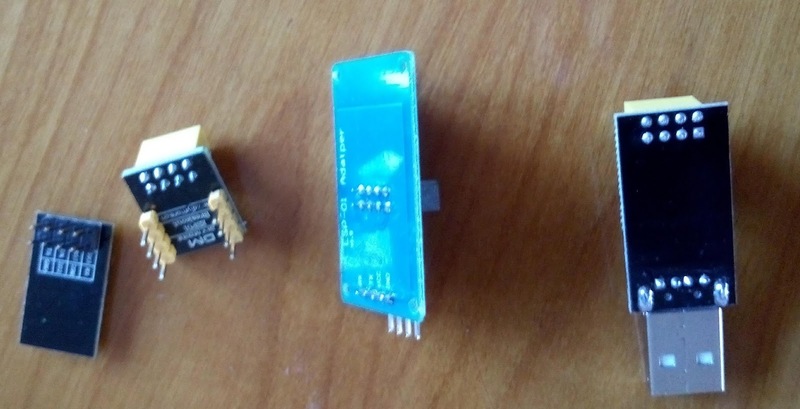 In one of my recent Aliexpress China orders i also added a small cheap ESP01S module to my shopping list. I also ordered some boards to easy test and use of this module: ESP01 has 2x4 pins close to each other. Not easy to use on a breadboard therefore i also added to my shopping list. 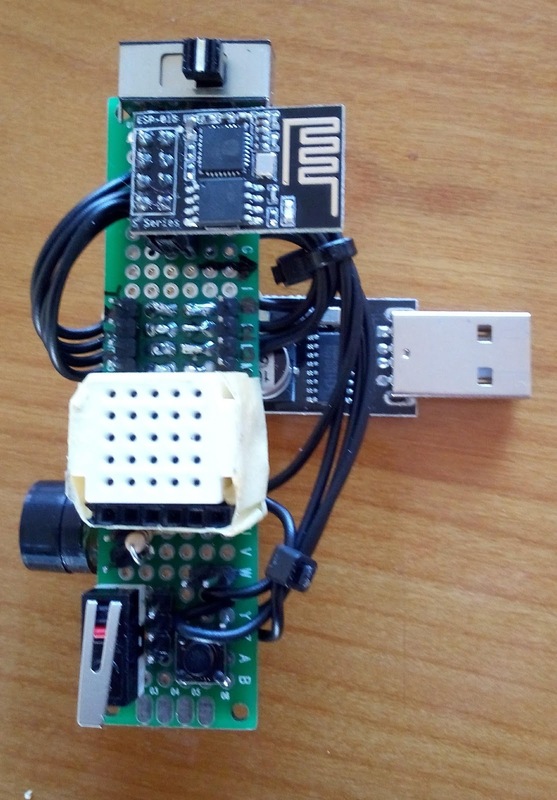 My plan was to use the ESP01 - USB interface board to program an test the ESP8266 module. 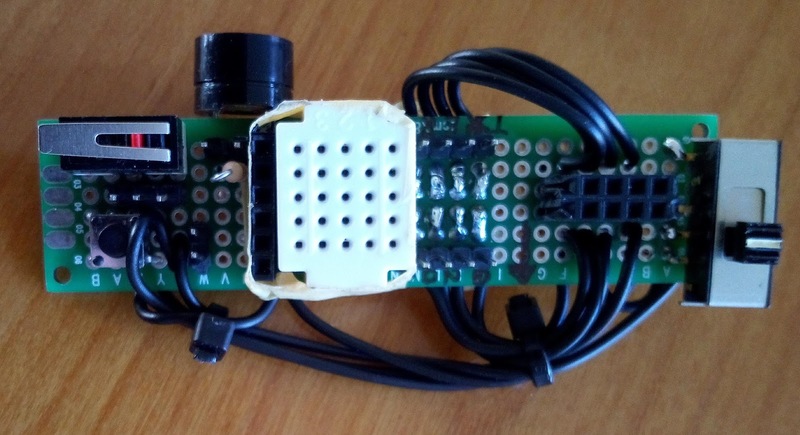 Then the disappointment : to program the small ESP01 module you need to pull GPIO0 to ground. 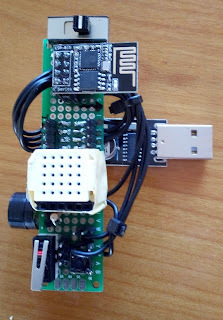 My cheap interface USB module has no jumper or switch to do that! A reset button would also be nice. And perhaps easy access to all the pins to experiment. If i would use the TTL interface wired this to a USB TTL / RS232 (FTDI) interface cable i would have the same problem. An option would be start from zero, using a breadboard interface, and make my own interface. But what is the use of these cheap "ready to use" interfaces. For programming, testing and debugging I decided to make my "ESP01 Break-in board". 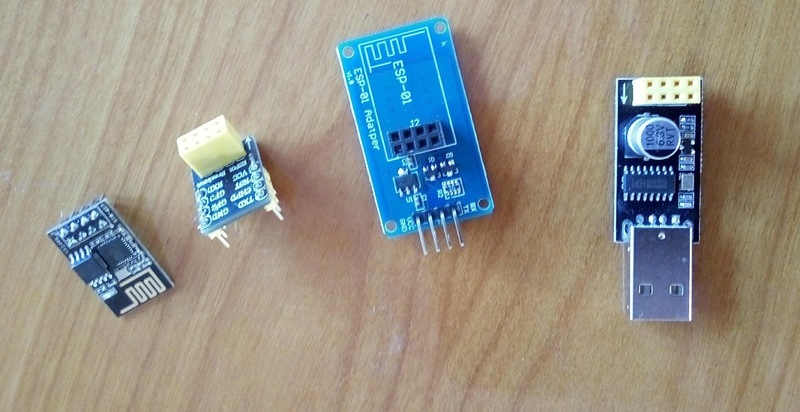 A board to put between the ESP01 and the boards with the 2*4 connector. 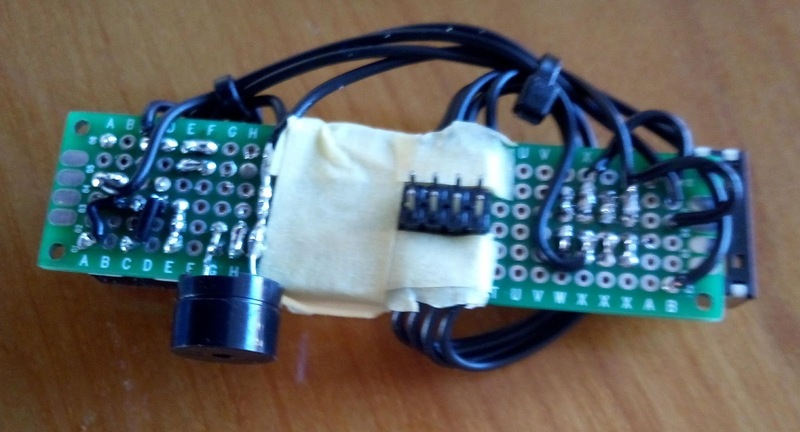 It needed (minimal) a programming switch, a reset button and access to the pins. Later on i decided to add also some additional features. (See photo, final specs/feature list below.) This are additional features but not really needed. I used a small double Side Prototype PCB Bread board Tinned Universal 20x80 mm FR4 28*6 holes. (All holes are plated through). I added pins to fit in a 2*4 pin connector (on bottom) and additional 2 times 4 pins to get easy access to all pins and a female 2*4 connector for the ESP01 module (on the top). On my (current) laptop free USB connectors are at the left side. 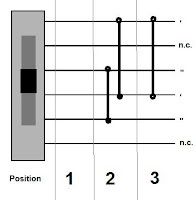 I wired my "Break-in board" with this in mind. (USB connector pointing to the right when using this board). Mark on the PCB with an arrow the direction of the ESP01 module. A push button is used for the reset, (Bottom of the PCB) wired to ground and reset. While uploading a program i do not want to continuously press a button. I decided to use a small slide switch (Top). Middle pin 1 and 4 are connected ' / pin 3 and 5 connected "
Pin 2 and 6 have no use (n.c.), i did bend them away and soldered the switch on the PCB. I decided to use the middle position as programming position and wired pin 2 and 5 ' to ground and GPIO0. At this point my basic minimal "ESP01 Break-in board" was ready. A micro switch (three pins Common, Normal open, Normal closed ) with connections to pins to easy wire them for experiments. (on bottom next to reset pushbutton). On my slide switch at pin 1 and pin 4 ' contacts available are (Left open, Middle and Right closed), i wired them to two pins on the PCB. 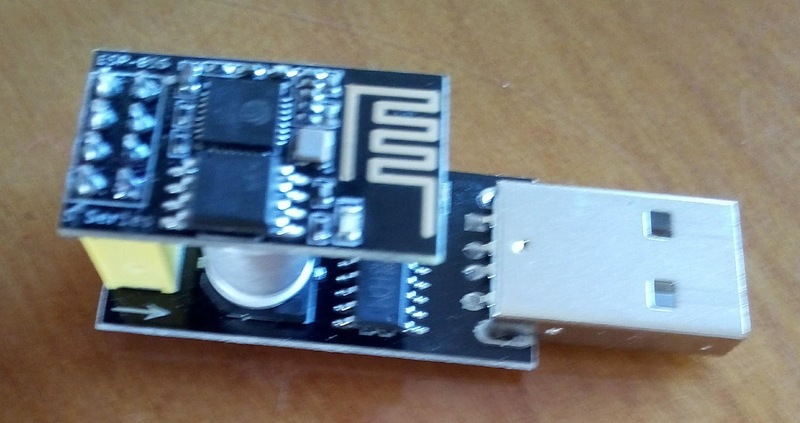 The condensator on the ESP01 - USB interface board comes very close to PCB. Some insulation tape was added. As a final touch i used cable ties to join some cable bundles. 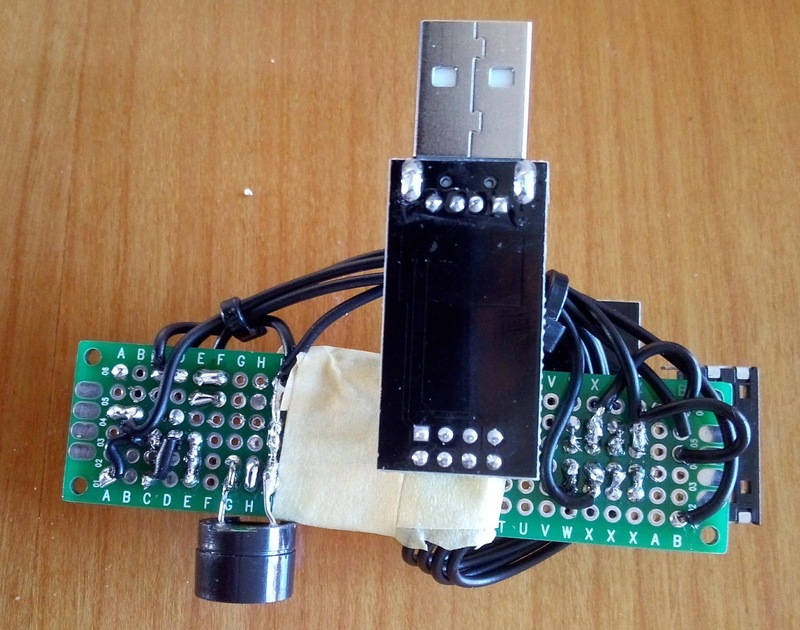 Easy access to all pins of the ESP01. Mini solderless prototype board for additional components/experiments.